Have a howlingly good time with the First Family of Fright in this collectible Complete Series that includes all 70 classic TV episodes and the two frighteningly funny feature-length movies. Reunite with the wonderfully weird Munster Clan: "working stiff" Herman, mom Lily, wacky Grandpa, the unusually normal Marilyn, and little Eddie. Plus, now see the episode "Family Portrait" in spookily spectacular full color for the first time ever. 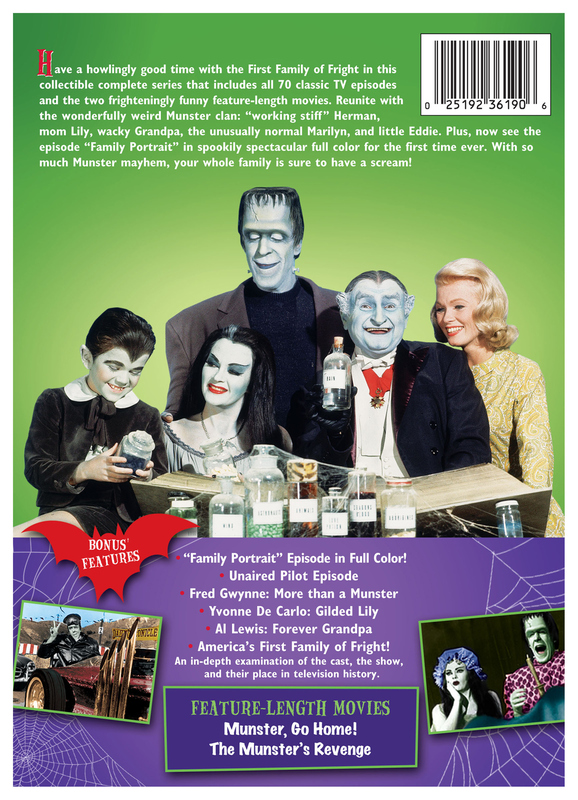 With so much Munster mayhem, your whole family is sure to have a scream!